This is our first time here, recommended by a couple of good -Pokemon Go- friends. 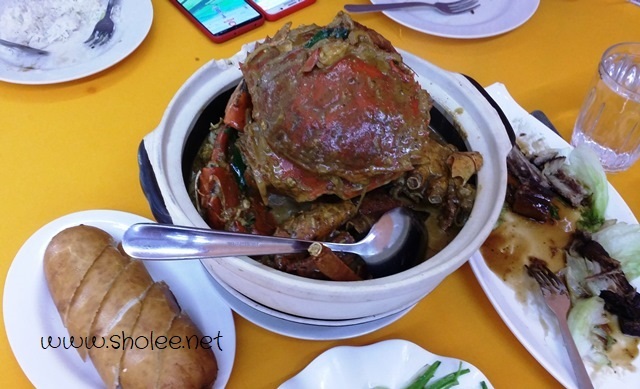 It's an air-conditioned seafood restaurant which is cosy yet with a typical no frills ambience. Customers were in and out non-stop, filling up the restaurant fast! Service was prompt and we were efficiently served without much hassle. As we did not foot the bill, prices below had been Googled so it's a rough estimate on how much the meal would cost. 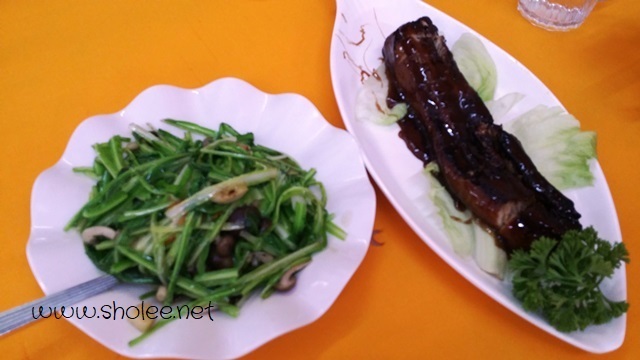 This 2 dishes were awesome! Such simple delicacy yet tasted just right! I do recognise the vegetable though I didn't know the dish, it's pretty yummy with so much mushroom and I could taste a tinge of 'flower wine'. The pork rib was sinfully delicious with soft, tender meat + fat 'toing toing' roasted just right! Honestly, though expensive (estimated RM200++ for 4 pax), it's definitely worthwhile for a once in a blue moon treat to self!!! Overall, it is a perfect gourmet indulgence for me!